Established in 2001, the Accenture Education Trust provides a platform to assist financially disadvantaged students. Second to fourth year students who have strong academic ability and intend pursuing a career in Computer Sience, Informatics/Information systems, Information Technology and in the following branches of engineering: computer/electrical (light current)/electronics/electro-mechanical/industrial. Scholarships cover the full costs of tuition, accommodation, books and a laptop computer. In 2006, the trust launched its Mentorship programme to provide additional support for the students on scholarships. Many of the scholarship students find the early years at university very challenging from both an academic point of view as well as in their social interactions. The concept of using young Accenture people, who themselves were recently in university, has gone a long way in addressing many of the gaps. 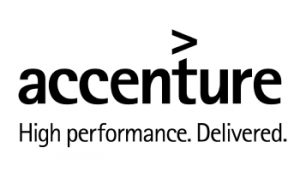 At any one time around 40 Accenture employees are involved in assisting our students in many different ways. All this is done voluntarily and is one of the benefits that our students quote as a differentiating factor for our scholarships. In 2010, our students delivered the best results ever with nearly 33 percent of the courses taken passed in the 1st class and another 50 percent passed in the 2nd class. We are exceptionally proud of our students who have maximized the opportunity afforded to them. Six of our graduates joined Accenture as employees during 2011 and we look forward to continuing our relationship with them as they start their working careers. Should you wish to apply for an Accenture (SA) Education Trust Scholarship to undertake 2nd to 4th year/Honours of full-time study at a tertiary institution, please download the application form and submit it before August each year.